Spent a little while today adjusting the gib -- had to mill a small amount off because even though the table fit on the saddle and the proper surfaces were in bearing, the gib was slightly cocked. It was just a couple thou too wide. So without gib screws it leaned, which allowed the table to set down on the ways and look right, but not be right. 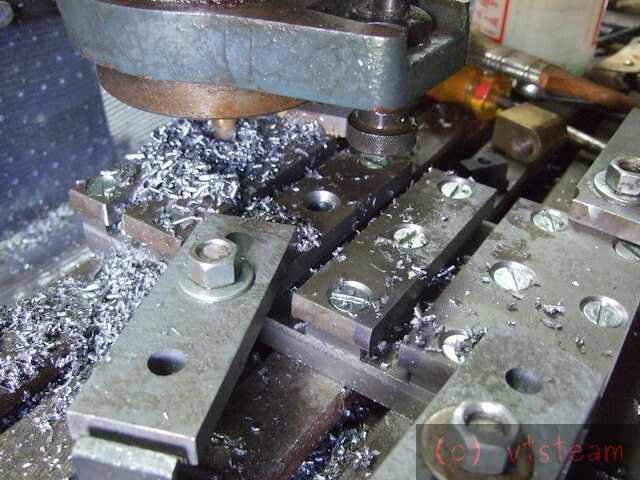 Anyway, clocked the gib in the vise on the mill and skimmed it 5 thou. After that everything fit well and it was time to drill for gib screws. I wanted 4 but I didn't want them to end up where they would interfere with the table surface hold down screws (yet to be added). 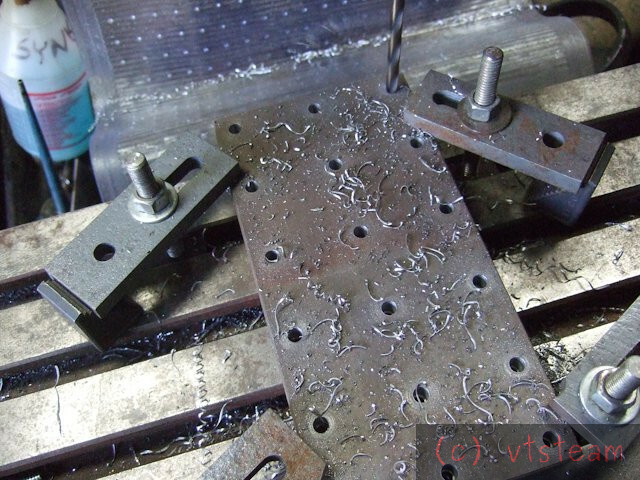 So they needed to be located roughly where the present channels are milled into the table. This meant 3 screws or 5 screws, and thinking 3 were too widely spaced, I went with 5. Kind of overkill but, well, it certainly doesn't hurt anything. I checked the original cross slide gib screws and found they were 1/4"-28 -- fine thread. Pretty tight clearance to the bottom of the slide -- not a lot of meat there -- the dovetail is 5/16. But enough I guess, so I followed suit. Picked up the little trick from DoubleBoost's videos of running the mill with the tap in it, switching off and lowering the quill into the hole to start the thread. Worked great. Thanks John! And finally today, added screws, set the table on the apron, tightened for light contact, and proceeded to slide, then yank at the table. Sliding went smoothly, no movement when I tried to force it to the side, not a click. Nice solid fit. The screws are a little short for adding lock nuts and taking up wear in the future, so I'll have to head back to town tomorrow to pick up longer, ones. But all in all, well pleased today. Very nice this is one project I will have to do my clausing doesn't have the slotted table either or a follow rest thanks for showing! Today was hole day. 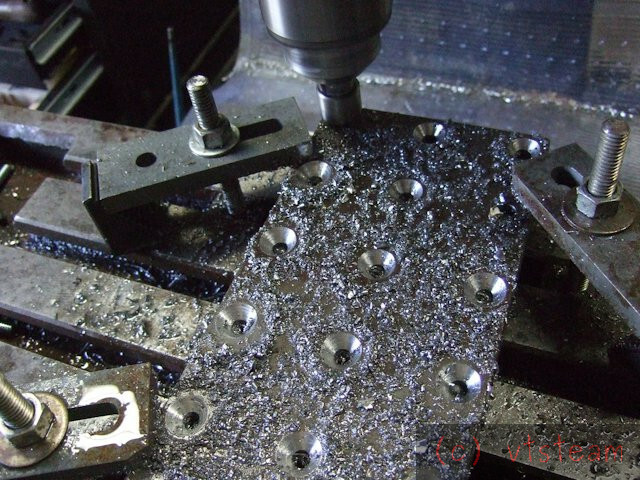 Whole lotta holes. I think that you need to put a self reversing tapping head on your Christmas present list. I'd lend you one but you're miles away! Looking great so far. I also miss not having a table on my Atlas 12". You always come up with cool solutions and then execute them well. It's not so bad, maybe an hour and a half. No boss and nobody's paying me. Probably the only time I'll have to do this particular thing in the rest of my life. It will yield a boring table that I built myself. 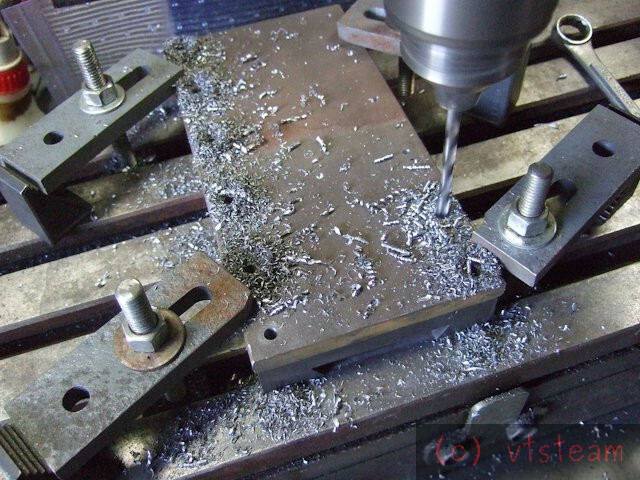 What I find difficult is concentrating enough not to make a mistake -- working from my head without a drawing or CAD, using this mill drill with lots of backlash and no DRO makes it challenging. In a small way, challenge equals fun. I guess that is zen! Now mowing the lawn....... that's tedious! Isn't that what goats are for? You're making a fine job as usual. Thanks Don! Grass? Don I think sheep -- not an animal husbandry type, but I think goats eat brush...... So does a Deere . Skimmed it all with the homemade carbide fly mill, and set it up on the lathe to see how it all looked. 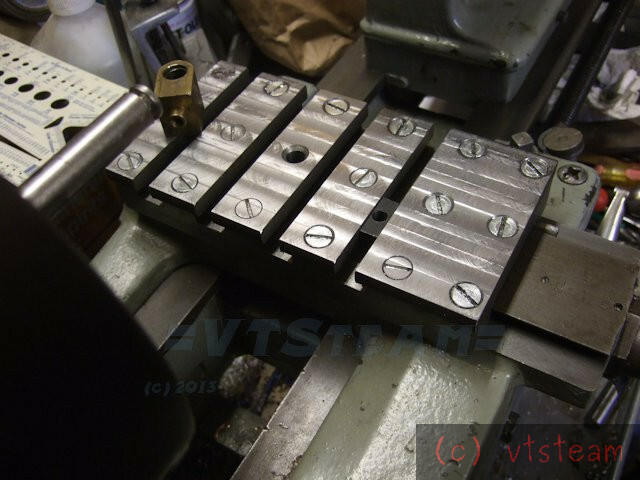 The nut I have to duplicate (from the lathe's cross slide) with a little modification to suit the height of the boring table is sitting on the back. 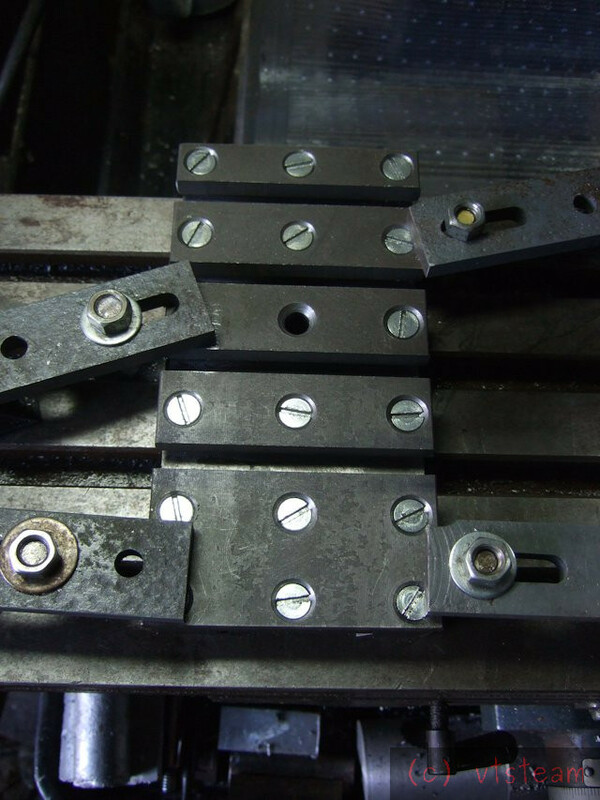 You can also see a T-nut being tried in one of the slots. It fits really nicely. Another good day. 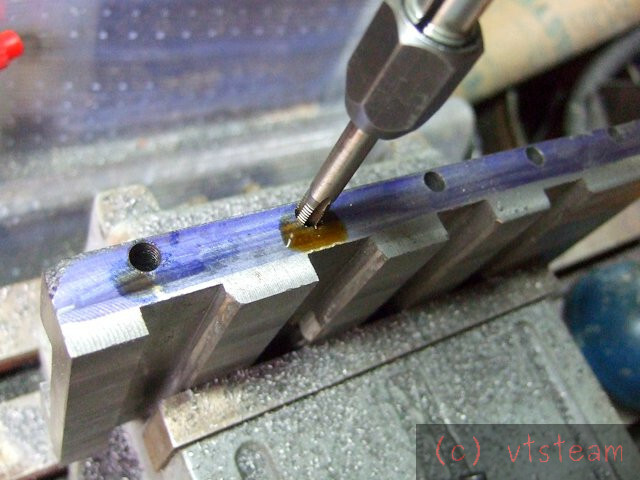 To make the nut I need an acme 10 TPI internal threading tool. 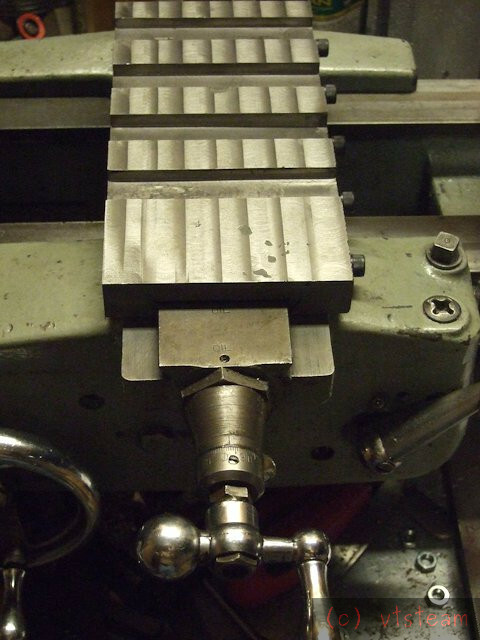 I found elsewhere on the forum instructions for making threading tools on the lathe, so I thought I'd try it. I remember those have not tried them yet though they should be perfect! 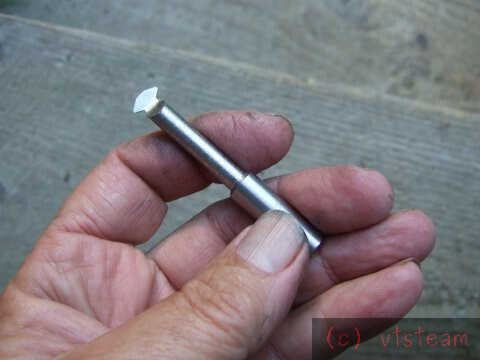 I think it would be better to make a tap , as it is square thread or half a tap similar to a D bit , http://www.rdgtools.co.uk/acatalog/ACME_TAPS__LEFT_HAND_.html the link shows a tap with square grooves milled along the length . Tom, Chipenter, thanks -- always looking to try new things (to me). And this site is a great resource for that. Hope I'm contributing something in return. I wonder if they are made of platinum? I'd seen a youtube vid of a roughly made acme tap, but I don't have acme threaded rod on hand, so would have to order that. 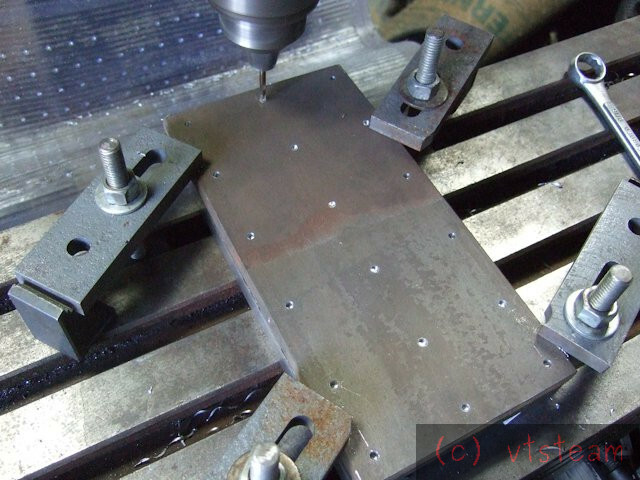 Also it can't be hardened, though in this case I'm not cutting steel. 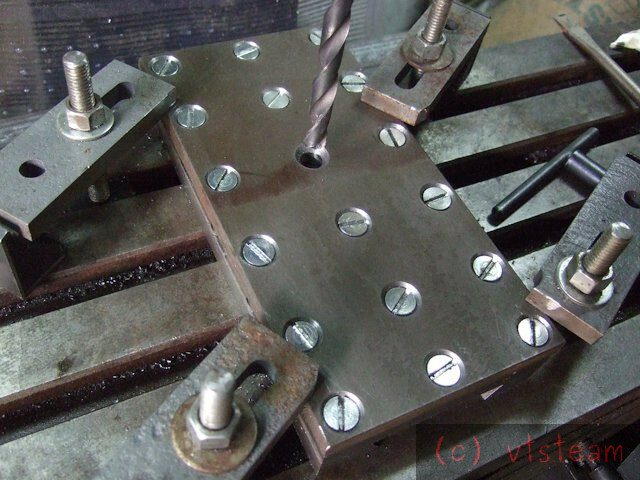 I'm very curious about the tooth shape boring bar turning method -- it's fun and I have drill rod on hand. 1.) 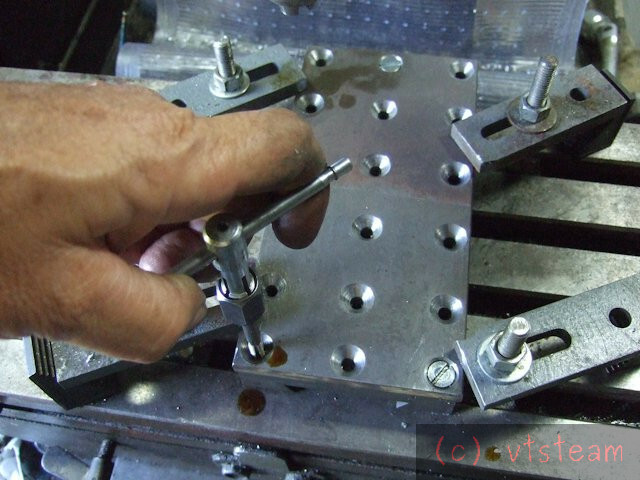 the bar should be as wide as possible -- to fit the internal starting diameter of the nut. 2.) 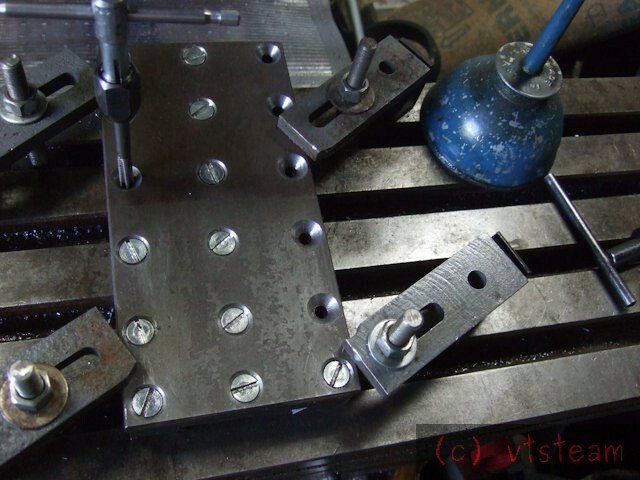 the bar should be as short as possible with just enough clearance to pass through the nut and a little bit more to stop the carriage in time. 3.) the cutting profile should be as short as possible, with just enough clearance to clear the cut. 4.) although I have tempered to appropriate colors in the past for boring bars, I believe this one should be made like the OP suggested, dead hard, to maintain the highest sharpness through the cut. 1.) start out with stock equal to the nominal diameter -- in this case 1/2". 3.) 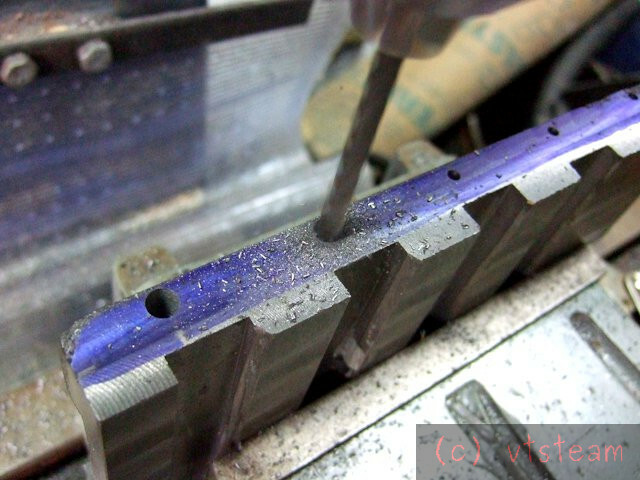 after making the flute flat, grind off the outside turning tooth profile for clearance. I think that will make a much heavier shank.